Today is October 6, and that means it’s 4 5 (I am so sorry that I cannot seem to add simple numbers after 11pm at night, which is when I wrote this.) days shy of the first month that Paper Gods has been available. What a month it has been. Truly. As everyone has likely already read on this very blog, Paper Gods was not an immediate “love at first listen” for me. I really needed to allow the music to sit and percolate. I needed to pick out elements that I really enjoyed, and give myself permission to take the time necessary for Paper Gods to take ME on a journey. Let me be clear: I am not a patient person. It is my biggest fault, by far. I expect things to happen instantly. I’m not one to want to wait for much of anything, and unfortunately sometimes – Duran Duran ends up bearing the brunt of that impatience. I shared my experiences with the album as they happened at the time, but I never really came back and explained that after giving the album some much-needed listening, I dearly love Paper Gods. It seems strange to type that now, nearly a month into an album’s release, but it’s true. It is really difficult to put my journey into words that make sense here, but I’ll try. 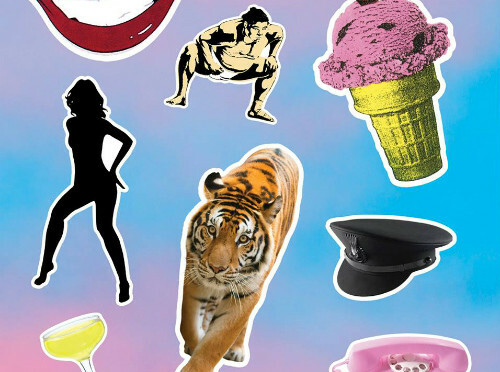 Like most anything the band has ever done, Paper Gods isn’t a one-listen, throw away album. It has depth that goes far beyond the words or music, and I should have realized that was going to happen based on the cover art alone. In some of the early reviews Amanda and I did, I wondered out loud about the album feeling so electronic. It’s something that I’ve heard a lot out of the mouths of a lot of fans, including my own from time to time. Is that really all that fair, though? I’m not quite so sure. The album still has guitar, PLENTY of bass and a ton of drums. Just because they aren’t necessarily served up in the same way as All You Need is Now doesn’t mean they aren’t there…and this just goes back to taking the band out of the box we’ve been keeping them in. It’s not fair to them, and it is definitely not fair to our own ears or heart. For weeks I sat by my stereo, thinking to myself that I really liked what I heard, but then I’d second and third guess myself by thinking about the lack of whatever it was I thought I needed at the time. The point is that it’s all still there…and if you haven’t grabbed a copy of Bass Player magazine (you know the one, with JT on the cover), you probably should. Many of my concerns, and likely yours too, are addressed in there. The real difference with this album that I believe 100% is that the band is totally behind it. They made their own choices with the instrumentation – and I refuse to fault them for that. In fact, I applaud them. I’ve seen a few of the songs live at this point: “Pressure Off”, “Paper Gods”, “Last Night in the City”, “Danceophobia”, “You Kill Me With Silence” and “What are the Chances.” That’s half of the regular album, and they haven’t even started the “real” tour yet! I won’t lie: I wanted to see what, if anything, changed with the band as they played from this album live. I wanted to see if they were still one cohesive unit. Let me tell you: they are all that and then some. Sure, there are some songs that require John on synth bass and Dom is in the back because the guitar isn’t quite as up front. There are songs where Roger’s drums – which are in fact STILL drums, thank you – are mostly electronic. There are also songs where everyone is nearly all over that stage, like “Last Night in the City”- you can’t help but dance to that one, and I challenge any EDM fan to stand still – it cannot be done. There are songs such as “What Are the Chances”, when Dom lights up the entire theatre with his work. Make no mistake, he has made that song his very own at this point. When they play “You Kill Me With Silence”, you can feel the bass coming up right through the floor and it puts me on pins and needles in a way no other piece of music has ever done. This band has made it a point to learn to play this music for the live show. Don’t miss out on the chance to see or hear any of that. Anyone who has read this blog for any length of time should know that Amanda and I are “thinking” people. We really enjoy reading the lyrics, looking at the art work, watching the videos and analyzing how they all work together to create an overall picture. I think the one thing I love most about Paper Gods is that, like an onion, there are so many different layers. I can’t take the music at face value any more than I should take the cover. When you listen to the songs – it might be really easy to write them off as pure pop. They’re so much more than that once you add in the words, and when you start considering that some of the songs with the most depth are also done with a lot of synth, it’s an interesting sort of dynamic. Just as the cover is far more than a bunch of stickers put up on a backdrop, the album is far more than just some EDM or pop. You don’t actually HEAR that on the first listen, it takes much more attention than just one listen. If you take the album as a whole, you start getting the feeling that this album is an overall look at the career of the band. From “Paper Gods,” a song all about the materialistic nature of our society – using a term that could easily be applied to the band themselves, to “Last Night in the City, ” a tune that is truly about touring, to “Face for Today,” which really seems to be a good bit of advice to today’s young celebrities, on to “Only in Dreams,” which seems to echo some of the feelings a lot of fans have about the band…and finally “The Universe Alone,” which really seems to describe the end. I dare say that the album starts to feel just a bit like a loosely held concept album. I’ve said it before and I’ll say it again: this band is so much smarter than any of us have ever given them credit for. We waited a long, long, time for this album – and I’m telling you as a fellow fan, it was worth every single second of the wait. Give it many proper, thorough listens from start to finish. There’s a story in there, waiting to be discovered. 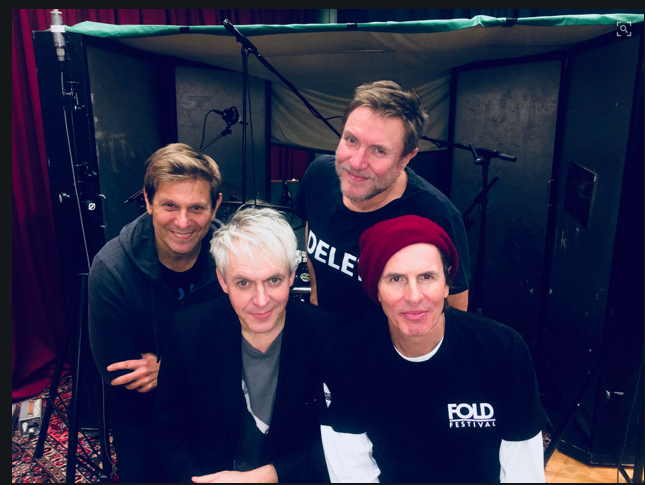 If you are one of those people who cannot wait until Friday for your own chance to listen to Paper Gods…Duran Duran have done something amazingly cool and have made Paper Gods available (public) for streaming. And if you do take a listen, we’d love to read your thoughts! Send us a comment and let’s get the conversation started! I know I haven’t written much this week, but I’ve been fighting a horrendous throat infection. So, that’s my excuse this time. Earlier, I was thinking back to Simon’s Katy Kafe last week for her anniversary. Simon had made the comment that he really wanted the fans to take this album and really kind of make it their own. Their own project to get out to listeners – both new and “old” fans alike. Katy had responded saying that she thinks that a lot of the fans she communicates with already feel that way about the band, that there really is a sense of ownership that comes with longevity. I’ve written about that many times here on the blog, and so I definitely subscribe to that theory. 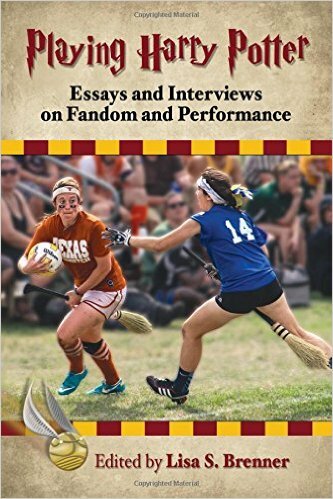 To that end of things, I suppose that writing this blog is a sort of way that Amanda and I have tried to steer the ship (the ship being energy from fans) and use that energy or power or whatever you might wish to call it, for good. We saw that there was at least to some limited degree, a disconnect between the fans and the band. It was as though they weren’t really hearing us – or maybe they didn’t even realize some of us were out here. I’m not sure. So we started the blog, and then realized that we could even work to strengthen ties between all of us by getting together, doing pre-show parties and meet-ups and even a convention. None of those things are necessarily easy to put together, but we certainly feel they’ve had a positive effect on the community. And now we’re coming to the beginnings of another album “cycle”, so to speak…and Simon is hoping we are all going to commit the band’s new baby to our own hearts and really get it out there for all to hear. I know this fan community well enough to know that we’re all waiting and hoping the album is going to be as fantastic as we’ve all heard. And I also know that at least a few of us have had ideas on how to get the fan community excited so that we CAN be the ones to reach out. The label can certainly work to find new fans – the type of promo that they typically do can be extremely effective in that department. I’d just hate to see the fans, the ones who have stood by this band through thick and thin, to be forgotten in all of that mix. There is a special bond that has been created between Duran Duran and their fans after thirty-some years, and if there is a way to cultivate and strengthen that relationship, at the same time exciting the fan community at large – I would hope that the band, their management and Warner Bros would take advantage. What can all of that do for them? My theory is that if the label focus on getting the new album to people beyond the fan base…then others are able to focus on getting and keeping the fans excited. That way no one is lost in that shuffle, and we’re all working together to see this album make a huge splash. It can happen. I just hope it is known that there are a couple of fans totally committed and ready to get this party started when the time is right. I don’t know how many of our followers watch for Duranasty – the Duran Duran Webzine that our friend Salvo creates. It is a labor of love and art, so if you haven’t treated yourself to reading through it, you really should. Salvo has the ability to visit the band on a much more regular basis than we could ever hope, and as such – he really has a relationship with the band, is recognized by them, and they very much know and approve of his work. So, if you want news – he is the standard. In any case, there is a brand new sparkly edition of his webzine out now, and naturally you’ll find plenty of good juicy bits to read and sort out, as well as plenty of beautiful pictorial layouts. I read through it all last night, and the one thing that stuck out in my reading is that the band seems to be leaning towards this album coming out in the latter part of 2014, and perhaps even into 2015. It would seem there will be no touring to speak of this summer, and maybe not even in the fall as previously mentioned, depending upon what actually takes place. There does not seem to be a worry to rush to market with the album, and they all still seem to stand by the fact that they do not need to tour this year, which really should be no surprise. The reality of course is that no band NEEDS to tour. That’s the beauty of being a band though – they drive their own journey. They can do as they so choose. I’ve worked for bands who didn’t want to bother much with touring. They didn’t want to take the time, and they didn’t want to make the commitment. They believed their fans would wait forever, and that they’d still be there when they decided it was time to hit the road. Unfortunately for those bands, it was also the final nail in their coffins, because without touring on an extremely regular basis when you’re a newbie band out there – you make no money and gain no fan base to speak of, and you tend to LOSE the fans you thought you had, because fans are very, very fickle. They lose interest quickly. (Unless you’re us, of course.) On the other hand, obviously – Duran Duran has had a long career and as such, they are not young pups needing every last bit to survive. These are seasoned professionals who clearly feel as though whatever they choose to give to their fans, and whenever they choose to give, will be more than enough. They have gone so far as to compare themselves and their popularity to that of U2 and Arcade Fire…and even the Rolling Stones at one point or another, so clearly they feel they’ve reached a certain pinnacle. I can’t say whether or not their fan base agrees, and will come out in droves to support them again – I’ll leave that for you all to decide yourselves at a much later date. I did see a comment today that seemed to indicate surprise that the band may take as much as another 10 months to finish, and the person mentioned that this one seems to be taking a while. I couldn’t tell if the comment was serious or made in jest, but I do agree. The other day I saw some discussion that centered around the idea that this is art, and that people should be absolutely patient and supportive that the band is taking their time to record and get it right. To begin with, I don’t know for sure what “getting it right” means, but I have to suspect it means right for the band. I’ll leave that alone for now and avoid the hooded figures with pitchforks coming to burn me at the stake for saying anything that could even possibly be construed as not supportive. Hey, even *I* know when to quit! I want to make clear that we fans DO have the right to express our anxiousness and our excitement about a new album. I don’t know when this became an issue, and I don’t know why it has suddenly become the “cool thing” to act like it’s wrong to want the band to hurry up – but I’m more than happy to put my name and face out there saying that it’s OK to be excited and anxious. That’s called “BEING A FAN”. For the rest of you who are playing it calm and cool and acting like it’s horrible for fans to be excited… “how dare you want to rush them!” *gasp*….I have one thing to say: “oh please. Who do you really think you’re kidding? ?” You’re fans. I know you. You scream at concerts just like the rest of us. You completely lose it when the band walks by, and I’ve WATCHED how you behave when Simon smiles at you during a show. So, you’re not fooling me. I know you’re secretly hoping that album comes out sooner rather than later. Don’t worry, I won’t tell anyone. It’ll be our little secret.